Copyright law is probably the most well known and the least well understood intellectual property concept among podcasters, and the most likely to get you sued for infringement. So what is copyright? Copyright is the exclusive right to reproduce or distribute an original work of authorship. There is no requirement that you be the first author of the work in question, or that the work be unique. For instance, if you were rescued from a desert island after 50 years and had with you a story you had written, you could obtain copyright protection for that story, even if the story was a word-for-word version of David Foster Wallace’s 1996 classic Infinite Jest. While there is no requirement your copyrighted work be unique, there is a requirement that you not simply take someone else’s work and claim it as your own. So even if you created a copyrightable work yourself, if the work you created on your desert island was indeed a word-for-word version of the David Foster Wallace novel, it may be difficult to convince a jury this was simply a case of lawful parallel thinking, rather than a case of unlawful copyright infringement. The point is that unlike patents and trademarks, in the case of copyrights, it is theoretically possible for two people to own a copyright in the exact same work, assuming they can prove they had no access to the other’s work. If someone violates one of more of your exclusive rights in your copyrighted work, they are infringing your copyright. How do you know if something is protected by copyright? Since copyright protection attaches as soon as a work is fixed in a tangible medium, such as when you record your podcast and store it on a computer hard, it is a good rule of thumb to assume that every work created after 1923 is protected by copyright. While registration is not required to obtain copyright protection, registration with the Copyright Office is required before you sue anyone for copyright infringement. You can always register your copyright after someone infringes your work, but if you wait to register, you could diminish the damages you are allowed to collect from the infringer. To avoid copyright infringement it is important that you obtain permission to use every piece of copyrightable material you use on your podcast. From your logo, to your intro music, to sound bites, to pieces you may read from a text, or play off of YouTube, be sure that you have written permission before you publish any copyrightable work to your podcast. Best practices dictate that for works like your logo and music, that you obtain a legally enforceable assignment or license of copyright of those works, from their authors, before you use them. Simply paying someone to create a logo or piece of music for you is not enough. Paying an author to create a copyrightable work for you gives you only a limited license in that work. The author still owns that work. 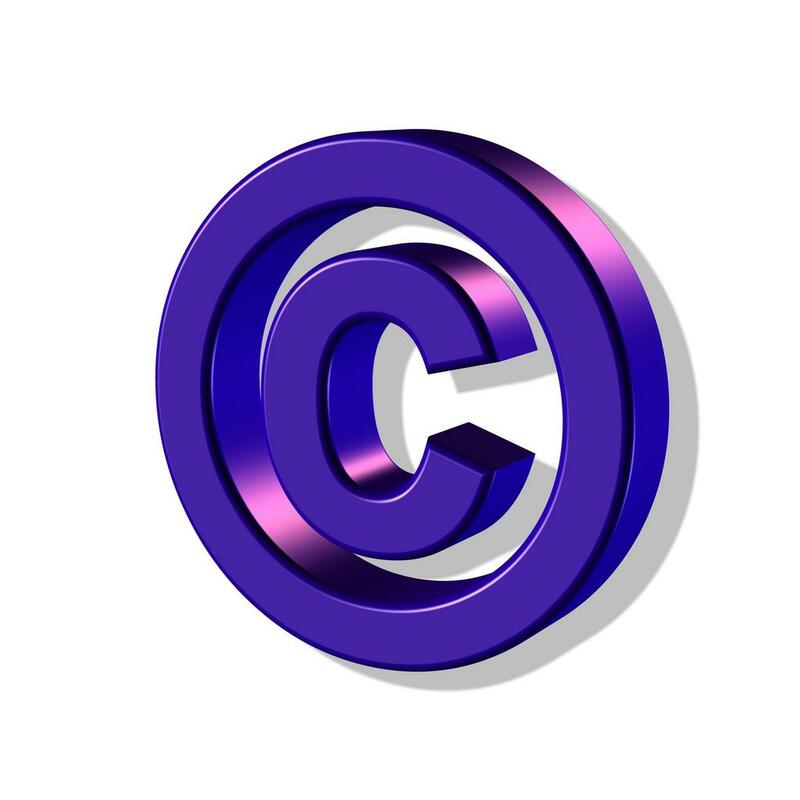 If you want to own that copyrightable work, you need to obtain a specific written assignment of copyright. But what about fair use? Although fair use may allow you to use third-party copyrighted works in your podcasts, the rules surrounding fair use are complex and constrained to very limited circumstances. Never rely on fair use to use third-party copyrighted works without getting written approval from your intellectual property attorney before you use third-party works. If you are found by a judge or jury to have infringed someone else’s copyright, in addition to the court ordering you to stop infringing and pay monetary damages to the copyright owner, the Copyright Statute also allows a court, under certain circumstances, to force you to pay punitive damages and the copyright owner’s attorneys’ fees. In egregious cases, there may even be criminal penalties, including fines and imprisonment. Infringing someone else’s copyright is definitely not a case where it is easier to ask forgiveness than it is to get permission. Always ask for permission first, and always get it in writing. If the copyright owner denies you permission to use the copyrighted work and you still want to use it, contact an intellectual property attorney to see if some type of fair use may apply. In no circumstances however, should you use someone else’s copyrighted material without permission.